In conjunction with the Lawrence Art Center’s exhibition “Ayiwewe!”: Rwandan Children’s Experience of the 1994 Genocide”, curated by Reinhild Kauenhoven Janzen, and in commemoration of the 25th anniversary of the tragic Rwandan genocide, Janzen will present an illustrated talk about her experiences as relief worker in Rwanda, South Kivu and Burundi. She, together with her husband John M. Janzen, served with Mennonite Central Committee, one of the many relief organizations that operated under United Nations auspices in this region at that time. The Janzen’s mission was to listen to people from all walks of life whether they were Hutu, Tutsi or Twa. As circumstances permitted, Janzen encouraged child survivors in refugee camps to express their experiences in drawings. Whether in words or in images, giving voice to their stories was the first step toward healing. In addition, these drawings by children of war are powerful, firsthand documentation that carry with them a level of authenticity which cameras of foreign journalists could not, cannot, capture. 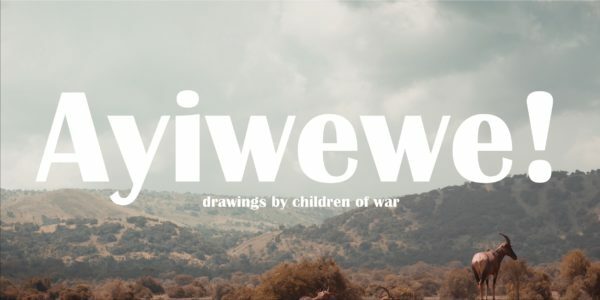 One of the children entitled his drawing with the outcry of desperation “Ayiwewe!”, in his native language, but the sound of it needs no translation. The exhibit runs through May 3.